The official Disney•Pixar YouTube channel just uploaded a set of two new videos showcasing the design and development of Merida as well as a video about the filmmaking process narrated by Mark Andrews. These videos are quite similar to a few other development videos we had uploaded previously, but these new videos have the advantage of Mark Andrews' narration. The first video we uploaded previously highlights Merida as well as King Fergus in a hair and cloth test. The second video shows the same footage at the beginning of the filmmaking clip, but with the song Touch the Sky in the background instead of Mark discussing the progression. 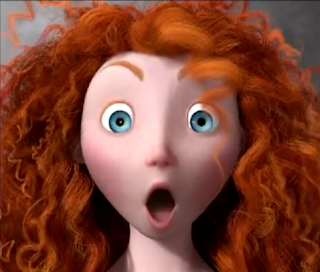 Brave Behind the Scenes Filmmaking Process, Design and Development of Merida.